Being one of the foremost innovators of popular music as we know it, Prince knew good music, and by extension, good musicians. 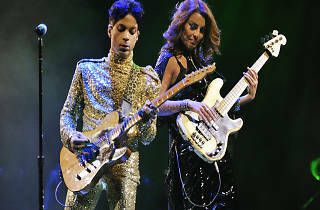 So, when he hand-picked Dutch native Ida Nielsen and thrust her into the spotlight as bassist for his backing band, The New Power Generation, he knew he’d be getting a level of genius that can keep up with his own. Since Prince’s tragic passing last year, Nielsen has gone on to release her third solo album, turnitup, to much critical acclaim. In her first Hong Kong performance, Nielsen and her band will be playing tracks from the bass maestros complete back catalogue as well as some nods to her days playing with Prince.